Pictured is District 5, one of the new chamber music ensembles to play at the 2016 Chamber Music Festival in Easton. Pictured is Lev Mamuya, a nineteen-year old cellist attending a dual degree program at the New England Conservatory of Music and Harvard University, whose musical composition “loosely turing” will have its world premiere at the Chesapeake Chamber Music Competition on June 11 at 4 p.m. at the Academy Art Museum. On Sunday June 5, the Festival begins its two-week run, offering six concerts, four Artist Showcases, and two free rehearsals open to the public. The 13 events will occur in Easton, Oxford and St. Michaels. 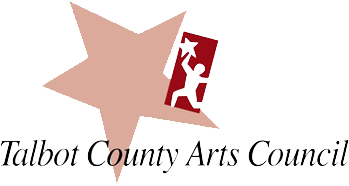 Venues include the newly-renovated Christ Church in Easton and the historic Christ Church in St. Michaels, as well as such returning favorites as The Avalon Theatre, the Academy Art Museum, Trinity Cathedral in Easton, the state-of-the-art performing space at the Oxford Community Center, and St. Michaels High School Performing Arts Theatre. Over the last 31 years, Festival Artistic Directors Mary Rosen and J. Lawrie Bloom have built a musical family at the Chesapeake Chamber Music Festival. While a number of the artists come back year after year, there are also always new faces at the Festival which bring excitement to the musical offerings. Twenty-one artists will perform this year, including 19 returning artists, along with some newcomers to the Eastern Shore Festival scene, including Michael Kannen on cello, Ara Gregorian on violin/viola, Harrison Hollingsworth on bassoon, and Wei-Ping Chou on french horn. 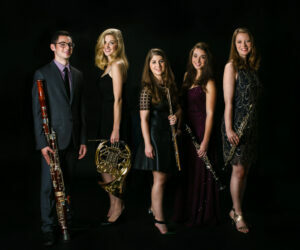 A special appearance by the District5 Wind Quintet on opening night sets the tone for escaping the ordinary to experience this extraordinary two-week musical journey. This year’s Festival will also offer attendees the opportunity to experience such favorites musical pieces as Beethoven’s Opus 1, while also enjoying new offerings such as the exciting world premiere of Lev Mamuya Quintet for Oboe, Violin, Viola and two Celli. It will be a time to connect with old friends and to make new friends as these talented musicians become a part of our community. 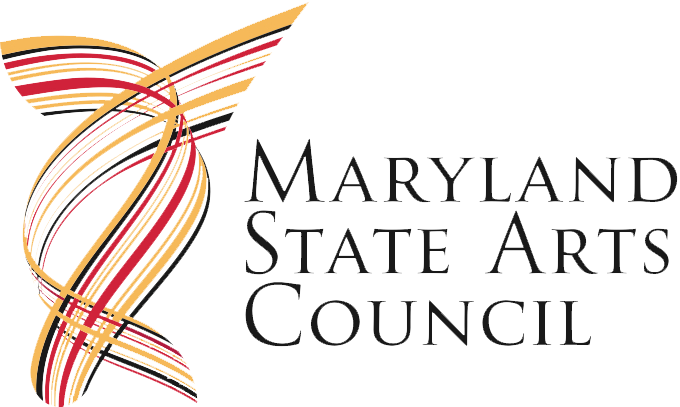 Sponsors of this year’s Festival include the Talbot County Arts Council, the Maryland State Arts Council, and the Star-Democrat. 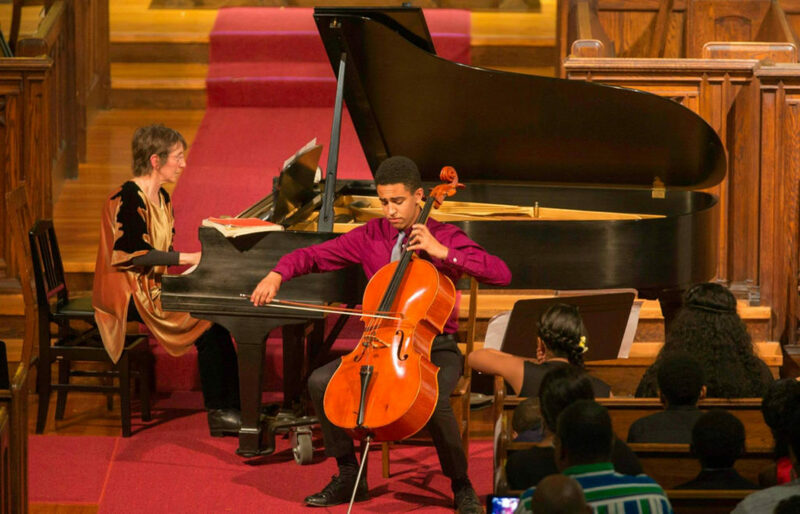 Additional generous financial support from corporate, public and private benefactors enables Chesapeake Music to offer affordable tickets for Festival concerts and recitals; open rehearsals are free to the general public. For additional information or to purchase tickets visit www.ChesapeakeMusic.org or call 410 819-0380. Sunday, June 5th at 5:30 p.m.
Tuesday, June 7th at 5:30 p.m.
Wednesday, June 8th at 10:00 a.m.
Friday, June 10th at 8:00 p.m.
Saturday, June 11th at 4:00 p.m.
Sunday, June 12th at 4:00 p.m.
Tuesday, June 14th at 10:00 a.m.
Wednesday, June 15th at 5:30 p.m.
Friday, June 17th at 8:00 p.m.
Saturday, June 18th at 5:30 p.m.
Sunday, June 19th at 4:00 p.m.
Artists and program selections are subject to change. 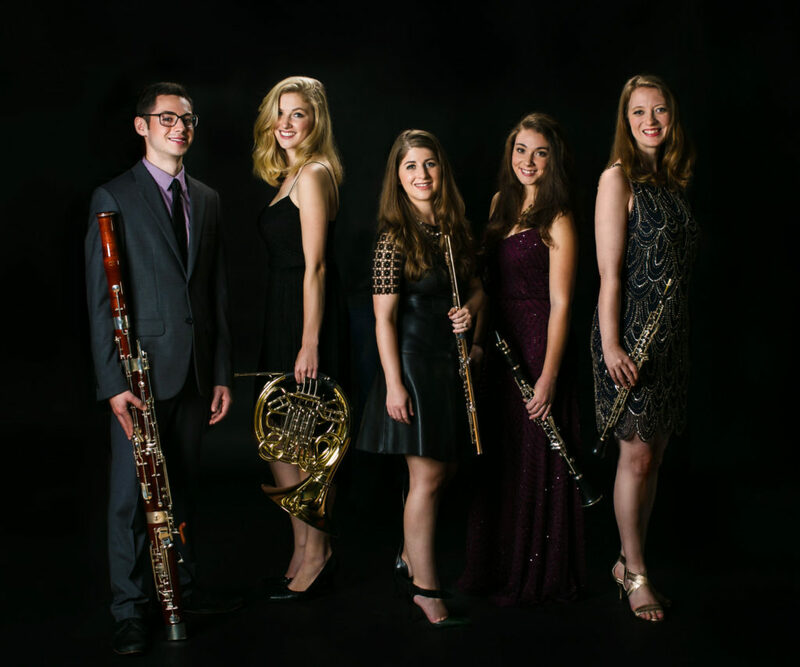 #1: Pictured is District 5 Wind Quintet, one of the new chamber music ensembles to play at the 2016 Chamber Music Festival in Easton. #2: Pictured is Lev Mamuya, a nineteen-year old cellist attending a dual degree program at the New England Conservatory of Music and Harvard University, whose musical composition “loosely turing” will have its world premiere at the Chesapeake Chamber Music Competition on June 11 at 4 p.m. at the Academy Art Museum.